You can’t put a price on good health. You can, however, put a price on good health insurance! In this list of the best health insurance companies, we have detailed 25 different companies that are worth looking at. 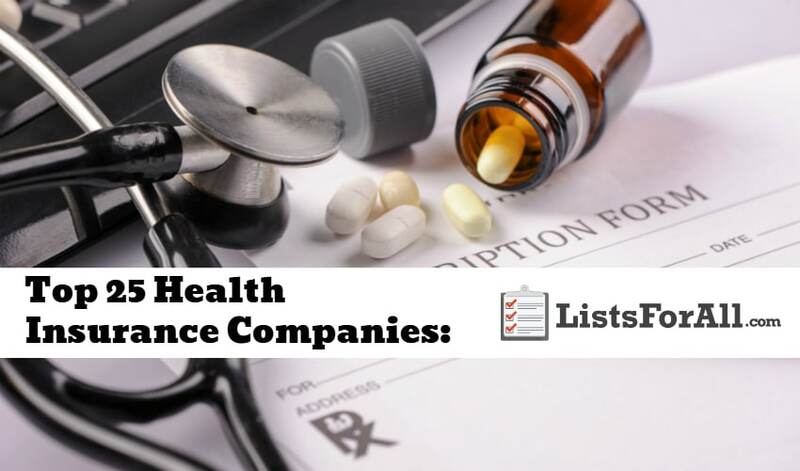 While no health insurance company is perfect, the companies on this list have favorable feedback from members and offer a range of coverage options. Due diligence is required, but with a little bit of effort, you will be well on your way to having a quality health insurance plan that doesn’t break the bank. And, for even more insurance know-how, see our list of the best car insurance companies. Humana is a large and well-known insurance company. Based out of Louisville, Kentucky, Humana services Southern, Western, and Midwestern states. A variety of premiums, plans, and wellness programs highlight what Humana has to offer. So for those looking for options, Humana is an excellent choice. Kaiser Permanente is consistently rated one of the best health insurance companies. They offer excellent customer service and have their own network of physicians and facilities. While only available in eight states, Kaiser services over 9 million customers. Thirty-seven independent agencies fall under the Blue Cross Blue Shield parent umbrella. So coverage is going to vary from state to state depending on the company servicing your area. With such an extensive network though, Blue Cross can offer a large variety of plans and prices. With some low-cost plans available, Aetna ranks high in affordability. With several good supplemental insurance programs also available, Aetna is worth considering. If you don’t have a lot of money to spend on health insurance, Aetna is a good option. While United Healthcare is an in-network only company, its network is quite extensive. This is going to allow customers access to a number of quality physicians and facilities. Also, a robust online support system is offered as well. This is going to allow you to stay on top of your health insurance needs at all times. Available in 12 states and a variety of countries, Cigna provides a number of healthcare products and services. A well-done and easy to navigate website adds to the appeal. If you want variety and you want an easy way to access features, Cigna may be the best bet for you. Mutual of Omaha provides a variety of health insurance products. And, they are best known for their Midwest values and stable financial status. Insurance plans include disability, critical illness, Medicare supplemental, and long-term care. AARP provides a number of services for adults over the age of 50, including healthcare insurance. A variety of plans specifically tailored to the over 50 crowd are available. All this comes together to make AARP an excellent choice for seniors. One of the highlights of Assurant is that they work with secondary networks. This will allow customers flexibility and freedom when choosing physicians and facilities. A nice selection of supplemental plans is also a bonus. If choosing your own doctor is essential to you, than Assurant may be the route for you. This is a slightly different take on health care. Medishare Health Insurance is faith-based health insurance that is going to stem from the teachings of the Bible. The Medishare system comes together to share the burden of health bills. It has shared and discounted more than $2 Billion in medical bills since it began in 1993. So if you are tired of traditional healthcare companies, give Medishare a look. The UnitedHealth group has a goal of helping improve personal and public health as a whole. They use, “clinical expertise, advanced technology and data” to improve on healthcare needs. If you are looking for a health insurance company that is cutting edge, UnitedHealth Group may be right for you. Anthem’s affiliated plans provide coverage for 1 in 8 Americans. This makes them one of the larger health insurance providers on this list. Anthem strives to be, “accountable, caring, innovative, trustworthy, and easy-to-do business with.” If you are looking for a more extensive medical insurance provider, look no further than Anthem Health Insurance. 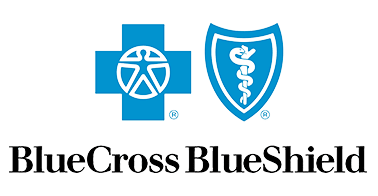 HCSC is “the largest customer-owned health insurance company in the United States.” It is an Independent Licensee of the Blue Cross and Blue Shield Association. Currently, HCSC is only operating in Illinois, Montana, New Mexico, Oklahoma, and Texas. In these states though, they service more than 15 million members. For those located in one of these five states, HCSC Health Insurance may be the perfect choice for you. As a customer, you always want to be valued. Highmark Health Insurance makes this a top priority. They, “place the customer at the center of everything that they do.” As the 3rd largest Blue Cross Blue Shield affiliate, you can trust that they have the power of a big company as well. For a total healthcare experience, checkout Highmark Health Insurance. With individual and family plans, group plans, Medicare coverage, workers compensation and more. Coventry Health Care will be able to handle all of your health insurance needs. Also, if you qualify for the ACA (Affordable Care Act), you can pair that with Coventry Health Care for even more savings. Visit the Health Care Marketplace to get started and see what savings you qualify for. WellCare is more of a specialized health insurance service. They are going to “focus exclusively on providing government-sponsored managed care services, primarily through Medicaid, Medicare Advantage and Medicare Prescription Drug Plans.” WellCare also handles a lot of insurance needs for patients that have “complex medical needs.” So if you fall into one of these categories, make sure that you take the time to explore WellCare Health Insurance and all that they offer. Having been around since 1900, Liberty National Health Insurance has been helping people for a long time. Liberty National is going to offer both life insurance and supplemental health insurance. Unfortunately, sometimes standard health insurance doesn’t cover all of your health care needs. In situations like this, Liberty National Health Insurance will step in. They will help take care of bills that are above and beyond what your standard health insurance will cover. John Hopkins HealthCare is geared specifically for military members and their families. It was designed to “honor service through compassionate, world-class health care.” Johns Hopkins is an excellent healthcare option for anyone in the military. There are also some qualifications for family members of those who have served as well. So if you have a family member that has served in the military, you may be able to take advantage of the Johns Hopkins HealthCare coverage options as well. Having trust in a company, especially when it comes to something as important as healthcare, is a big deal. Well, Cambia Health Solutions was awarded as one of the world’s most ethical companies by the Ethisphere Institute. Cambia is also very conscious of being innovative in the healthcare industry. They are always looking for ways to make the process better for their customers. With over 100 years of trusted healthcare service, Cambia Health Solutions is worth checking out. If you qualify for government assistance, then Molina Healthcare may be the right fit for you. Working with state governments, Molina Healthcare provides exceptional health plans for their users. They offer a “wide range of quality health care services to families and individuals.” Molina Healthcare is a Fortune 500 company, and they provide healthcare to nearly five million families and individuals. You have most likely already seen the Aflac duck a time or two on TV. So you may or may not already be familiar with Aflac supplemental health insurance already. Aflac provides supplemental health insurance plans to individuals, families, business owners, and more. They offer a lot of great options when it comes to supplemental health insurance plans. So join the 50+ million other Aflac members and make sure that all of your health care needs are covered. For specialized service that also fits your budget, the US Health Group is a great option. They understand that “every customer has different needs.” This means that they are willing to work with you to get you the exact coverage that you and your family need. They have licensed and trusted agents that will help you figure out what you need too. Ambetter Health Insurance is another company that will allow you to take advantage of the Affordable Healthcare Act. Regardless of whether you can use the ACA discounts or not though. 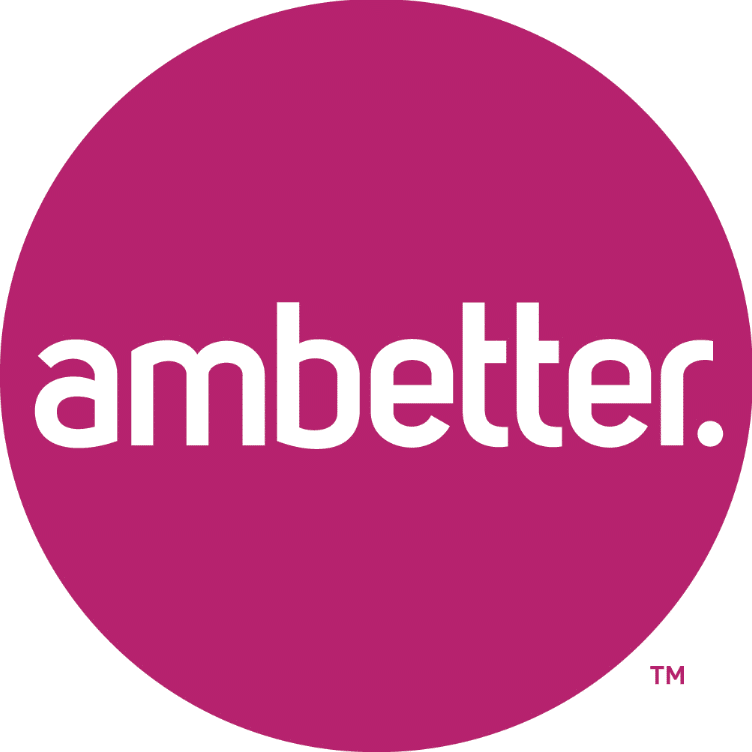 Ambetter is going to allow you to get quality healthcare coverage and service at a reasonable price. Liberty Health Share is another excellent traditional health care alternative. They will provide total transparency when it comes to seeing where your money is going and also provide great health care. 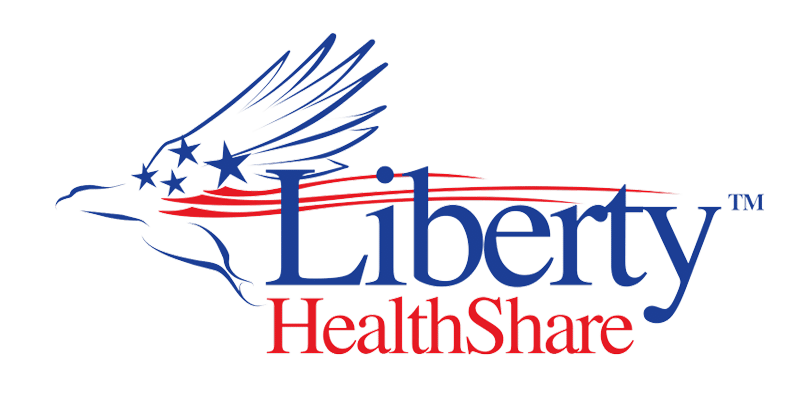 Liberty Health Share consists of a “community of health-conscious people who practice longstanding Christian principles in sharing healthcare costs.” With three different program options, you will be able to find the health share plan that works best for you. HTH Travel Insurance supplements your existing health insurance and provides security while traveling. Flexible options like the range of coverage and deductible amount make HTH an excellent travel insurance option. This travel health insurance will allow you to travel with more peace of mind. Picking the right insurance provider can be a big undertaking sometimes. That is why we wanted to do our best to narrow down this list of the best health insurance companies as much as we could. You will still need to do your research, but we hope that we have provided you with a better starting point. For more health inspired lists, make sure that you checkout our lists of the best supplements for women and best supplements for men. Also, please feel free to leave any feedback on these companies in the comments below. This will allow readers to gather even more information when making their health care decision.